We excel in producing natural equine supplements & products using proven ingredients found in nature. We take pride in helping horse owners across the globe care for their horses. Over the many years I have used Equimins products, I have found the products are good quality at a reasonable price. Friendly help is only a phone call away. Been using Hoof Mender and Advance Concentrate together now for a while. My laminitic cob is thriving on it! Both me and farrier amazed with the results! Fatty pads gone, kept weight off, looks great, hooves in fantastic condition, and shoes staying on - at last! 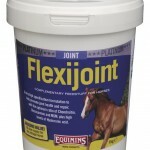 Flexijoint liquid - keeps my 31 years young mare mobile, still cantering round her field like a teenager!